The best hair routine in the world means nothing if you are putting the wrong things in your body. 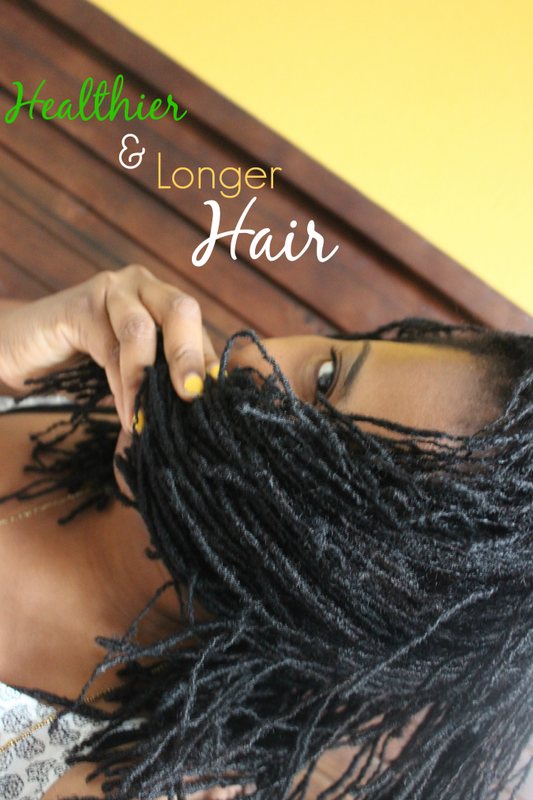 Nutrient deficiency, not haircare might be the root cause of your hair problems. A hair-healthy diet can yield noticeable results within six months to a year, depending on how fast your hair grows. Though most recommend supplements, the recent scandal noting that many supplements are found to have zero of the promised ingredients and the fact that some supplements actually increase your risk of ailments like heart disease has changed my mind. These days I am more of an advocate for an overall improvement in diet, rather than popping a pill. Rich in biotin and vitamin B, eggs are a cost effective way to promote hair growth and scalp health. Biotin supplements are common, though few realize that our bodies make their own biotin in the intestines, and it is plentiful in many common foods, making deficiency is very rare. However rare, biotin deficiency cause hair loss. Vitamin B complex in another important nutrient for hair. Involved in the creation of red blood cells, which carry nutrients to all our cells, including those of the scalp, follicles, and growing hair. A B vitamins deficiency means the cells can starve, causing shedding, slow growth, or weak hair, which is prone to breaking. Great for more than just hair health, this relatively affordable leafy green is great for fighting iron deficiency! Iron helps red blood cells carry oxygen, if the body can't get enough oxygen due to anemia, the result are devastating to the whole body. It causes weakness, fatigue, and possibly even hair loss. Peppers of all colors are a great source of vitamin C, which also improves your ability to absorb iron! Collagen, a structural fiber that helps our bodies hold everything together, is formed via vitamin C. Hair follicles, blood vessels, and skin all require collagen to stay healthy for the best growth. Minor vitamin C deficiencies might lead to dry, splitting hair that breaks easily. Those traditional foods from your childhood - those non-hipster everyday meals - they were great for you hair! Beans, black-eyed peas, and lentils are a great vegetarian source of iron-rich protein. Keratin, which is created from protein, gives hair its structure and is essential to speeding up hair growth. Eaten regularly, almonds can protect against heart disease, diabetes and weight gain while promoting healthy hair growth. Magnesium, an essential mineral for growing healthy hair/skin/nails, is found in high doses in almonds. Cinnamon is the most underestimated spice almost everyone has in their kitchen. The topical use for hair loss is amazing (it help grow back more than one of my post postpartum bald patches). It helps with diabetes, wieght gain, Neurodegenerative diseases (Alzheimers and Parkinsons), mood improvement. Stress and health issues like unbalanced blood sugar can cause hair loss and thinning and cinnamon through a number of different ways helps with this! Cinnamon was a major part of my prior 30 lbs weight-loss. I ate sweet potatoes (another great food for hair) with honey as my everyday sweet treat, but make sure you buy the high quality Ceylon Cinnamon from Wholefoods or Amazon. 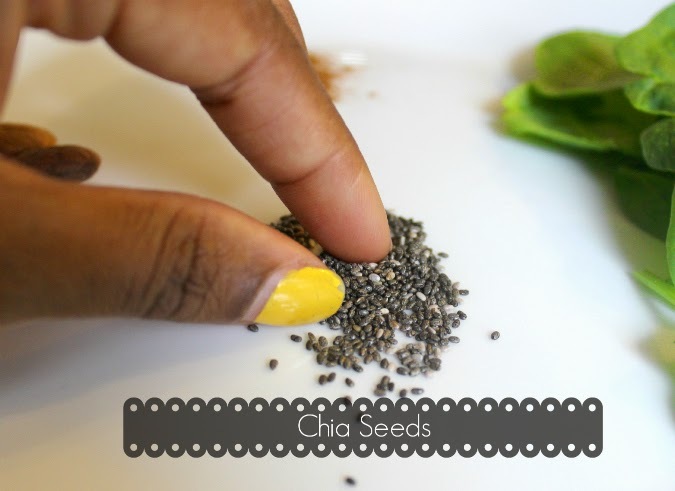 Chia seeds have been a staple in Mayan and Aztec diets for centuries. They help you feel full (great for dieters) and regulates blood sugar. 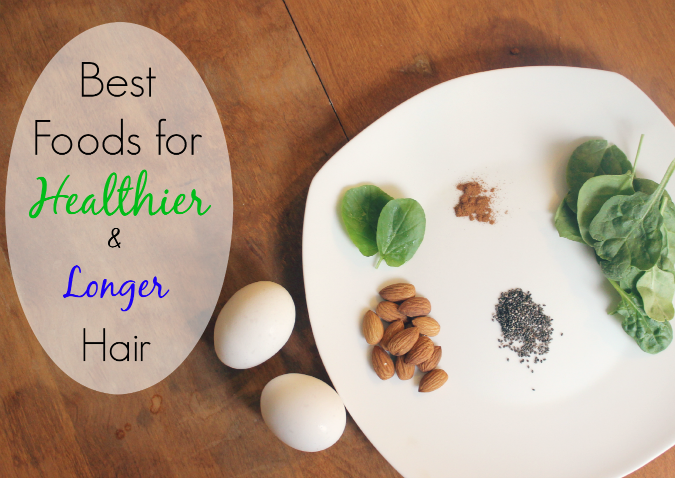 They are full of nutrients that are known to promote hair growth and prevent premature hair loss! Add these food to your regular diet and you could see a noticeable improvement in up to 6 months!